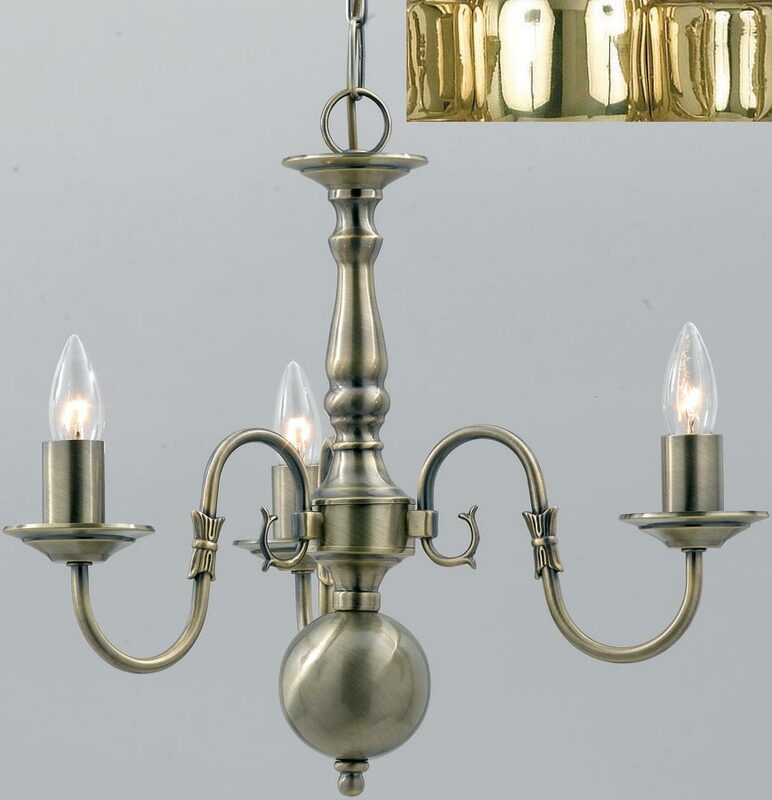 The Flemish style solid polished brass traditional 3 light chandelier is compact and suitable for a variety of environments. 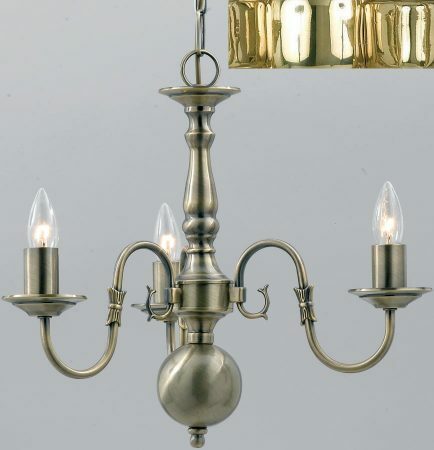 Typical Flemish style chandelier, with three candle style lights and a traditional polished brass finish. Featuring curved arms and an ornate central column, with a large bulbous polished brass feature at its base. Supplied with chain suspension that allows you to adjust it to the perfect ceiling height. 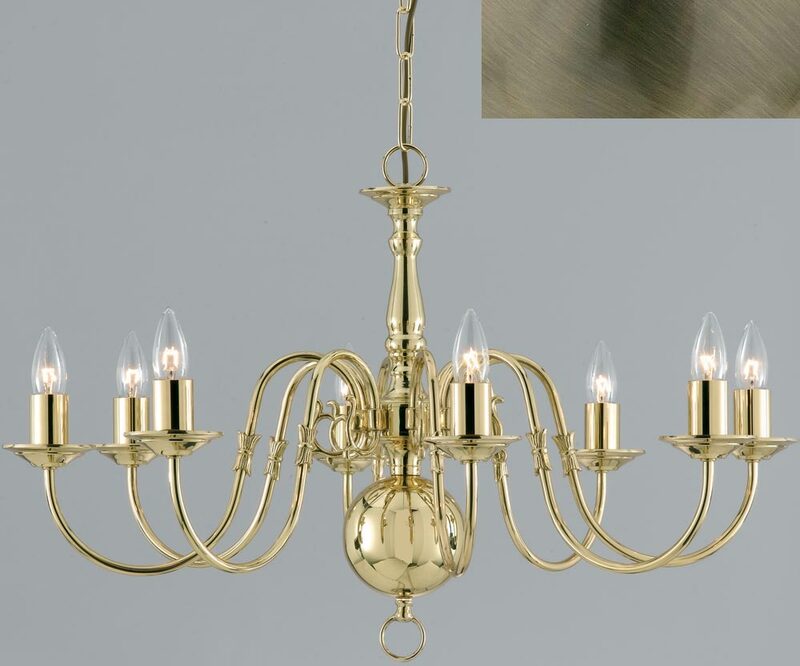 Made from solid polished brass this stylish three-arm chandelier hangs from a chain suspension and matching ceiling rose. It has a chunky body with three sweeping arms. Please note that the image shows this wall light finished in antique brass but there is an additional image of the polished brass that shows the finish.